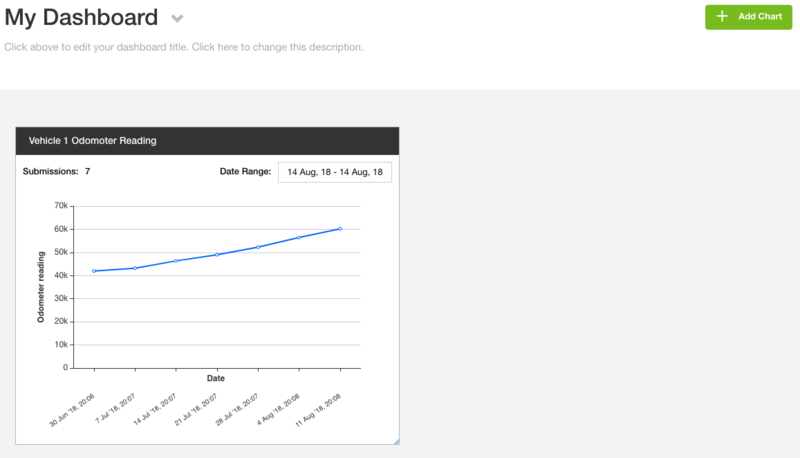 To create a Line chart of your submission data, first navigate to your Analytics page. You will now be prompted to "Select your Source" in step 1. 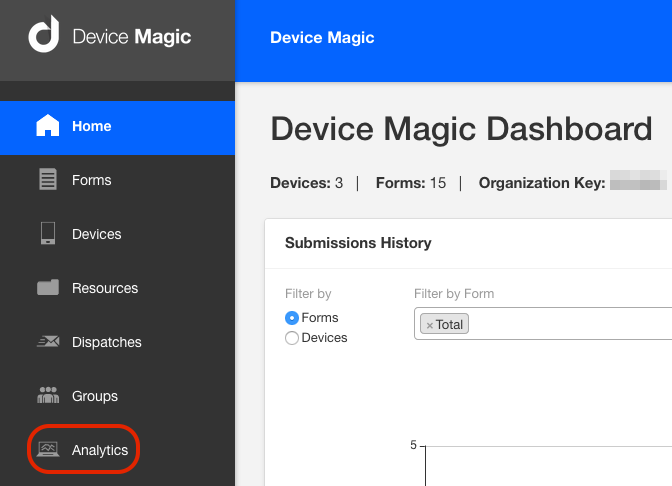 The "Select Your Source" drop down will only contain names of forms which have at least one submission in the Device Magic Database Destination. The chart data is mapped directly from this source. This Destination should be added to your form by default. For instructions on enabling this Destination, please visit this article. 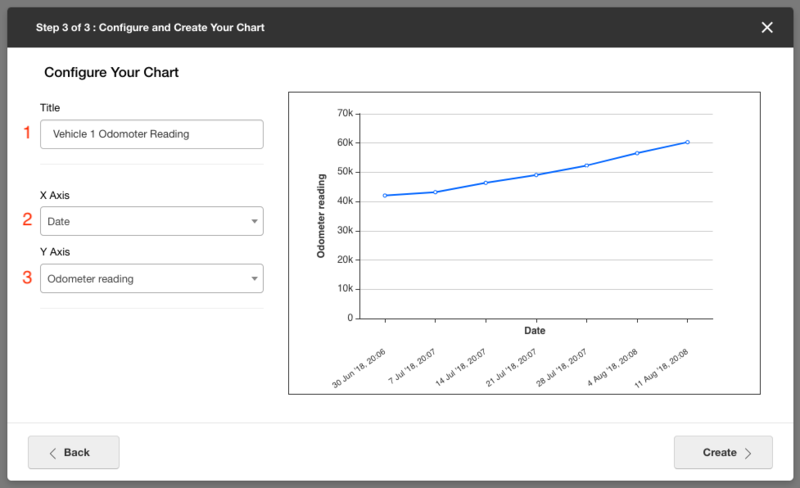 Select your chart type by clicking on the line chart icon below. Then click "Next". 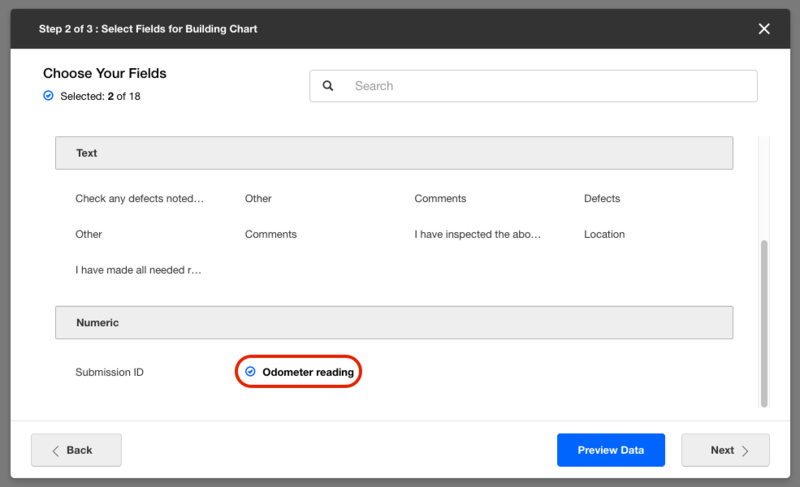 In step 2, you have the option to choose all of the metadata fields and form questions you'd like incorporated within the chart. These questions are grouped based on their corresponding type. The Numeric question named "Odometer reading" and "Date" (not pictured) questions are selected. 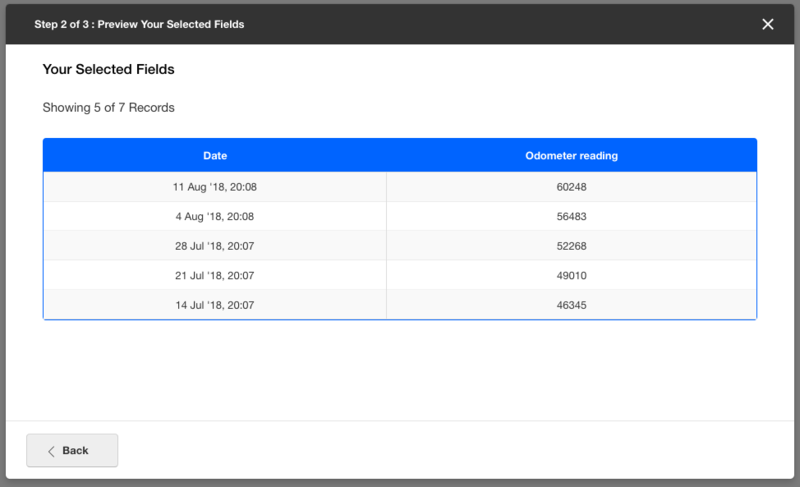 In this example, both values for all submissions are shown. 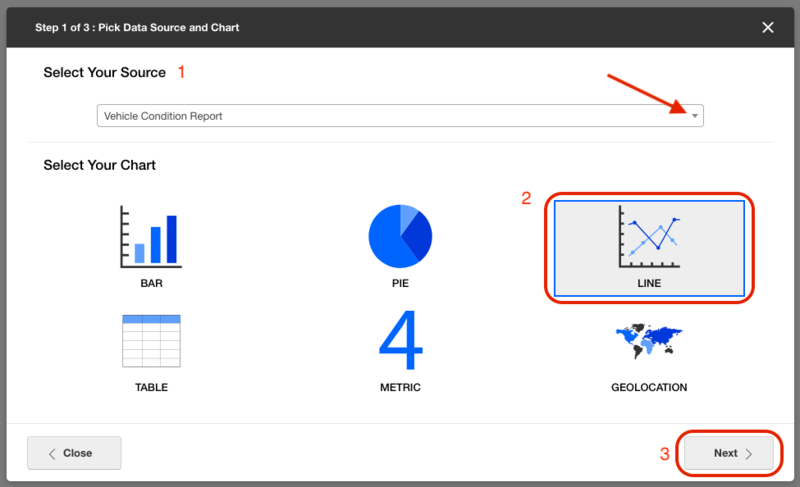 You're required to assign one field to the X Axis. "Date" has been selected. Finally, choose a field for the Y Axis. "Odometer reading" has been chosen. When you're satisfied, click "Create". 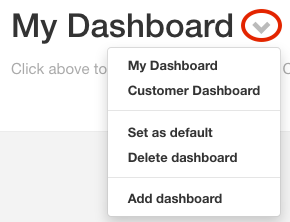 The new chart will appear on your Dashboard.